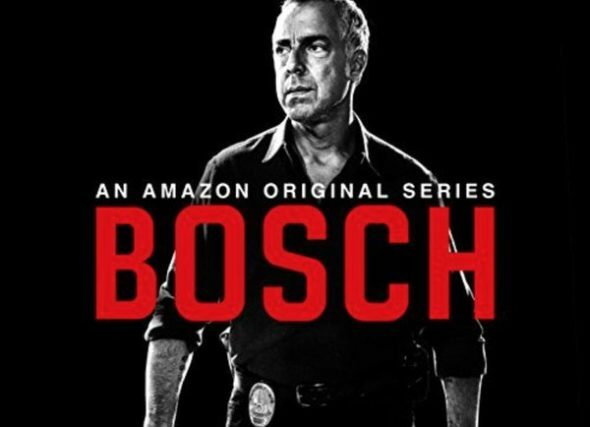 Bosch is one of the best shows I have seen in a long time. Hope it goes past season 4. characters are great as are the story lines. Binged watched Season 1, 2, and 3 in the last two seeks. Great!!! I agree one of the best to come out in quite awhile. Love this show. Wish season 4 would start. Best police drama I have seen in a long time. Want more. I’ve worked with in Los Angeles . Finished the 3 season, before my wife . our city. Can’t wait for the fourth season. Going back to watch the first season. Just finish watching season 3 of Bosch. Please don’t make us wait till next spring for season 4 and maybe try for more than 10 episodes. It is rare to find a show with great story and great acting from one season to the next. When is season 4 coming? I watched all 3 seasons in a weekend. I have loved Michael Connelly for years, like 20 . I can’t wait for season 4. Hurry I swear I can’t wait. Keep up the good work? Hey did Captain Irvine wife change from one season to another? Watched all 3 seasons. Best show on TV. Just watched Season 3. Loved it! Can’t wait for season 4. Hurry up!!! Love this show. Best series that Amazon has produced. Brilliant acting. Titus Welliver is perfect for Bosch role. Love this show and can’t wait for Season 4. Had to limit myself to 2 episodes a night of Season 3 to make sure that I got some sleep and would get up for work! Tip top acting by all. Just binge watched Season 3. Literally heart-pounding. I’m a retired cop and this is one of, if not the, most accurate portrayals of a cops life I’ve ever seen. Great story lines and cast. Waiting for Season 4, and beyond. Love, love, love this show. Titus is so realistic, it gives a feeling of walking along with him in this series. I’m a big Michael Connelly fan and our book club just finished The Wrong Side of Goodbye. We all gave it a rating of 10. I would love to see Amazon do this story in the near future. I’ve wondered how the producers would give us a view of the sculpture, which was presented in the novel.